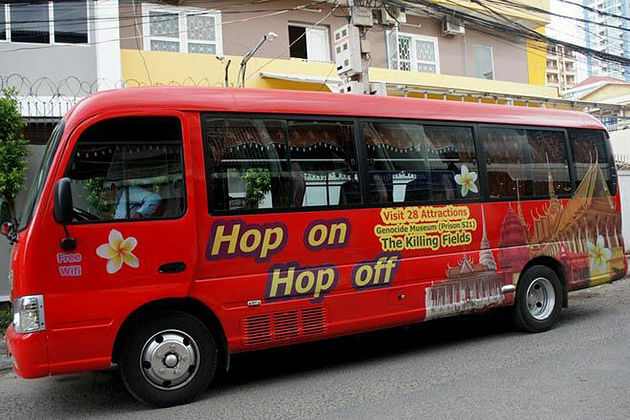 Once you arrive at the vibrant Phnom Penh City, you must visit at least one among the markets following to explore. 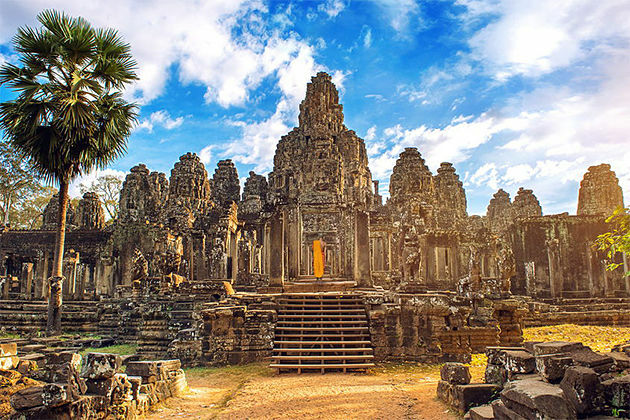 This is a great chance to learn about the locals as well as adapt to this area, especially your first day in Cambodia tour. 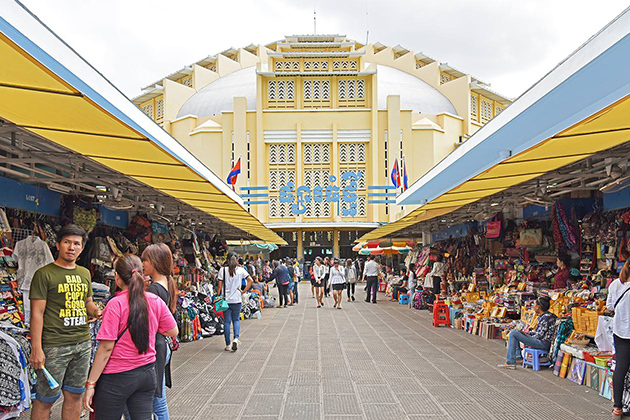 Russian Market, locally known as Phsar Toul Tom Poung, attracts the tourist crowd who flock there to barter a bargain on an array of handicrafts and souvenirs including woodcarvings, musical instruments, and silks. In addition, others like clothes, accessories, fruit, and veg can also be sold in the spiderweb of stalls. 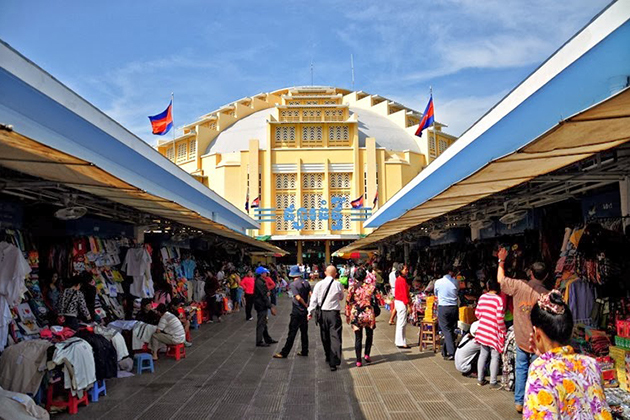 Central Market is also called as Phsar Thmei which established in 1937. This is a very popular market with tourists with a unique Art Deco interpretation of a traditional market and a well-designed dome forming the centerpiece. 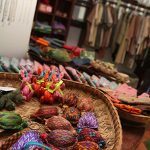 On the market, you can find everything from jewelry, gems to Cambodian traditional foods or drinks, and handicrafts are on sale. 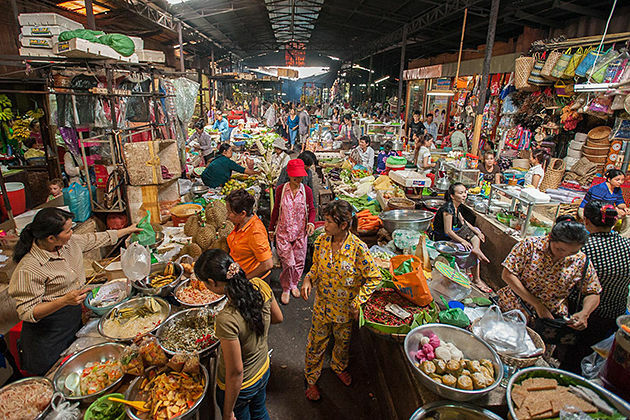 Natively called as Phsar Reatrey, this market is more common with the young Khmer crowd. 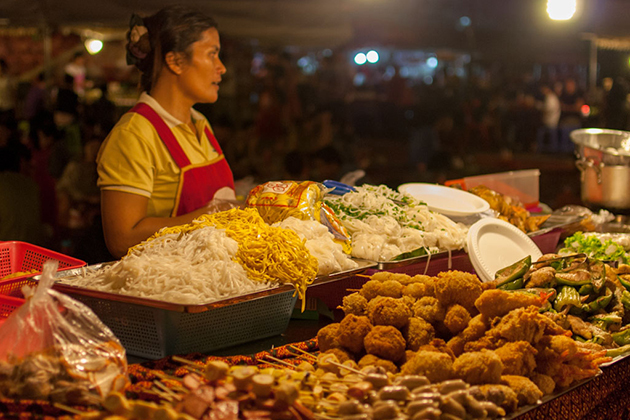 Phnom Penh Night Market is an open-air evening on the riverside. The range of stalls sell many types of goods, from clothes, accessories to food. There are even live performances in the form of singers, dancers or musicians in a central stage. This makes Phnom Penh Night Market becomes a perfect destination to stop before dinner and drink on the riverside. 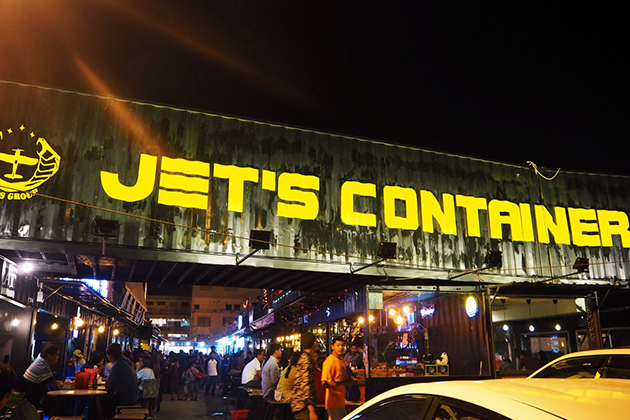 Jet’s Container Night Market draws the young and cool Khmer crowd flocking there in the evening to drink beer of iced coffee and listen to live music. There are also several stalls selling quirky T-shirts and other items designed by entrepreneurial locals. 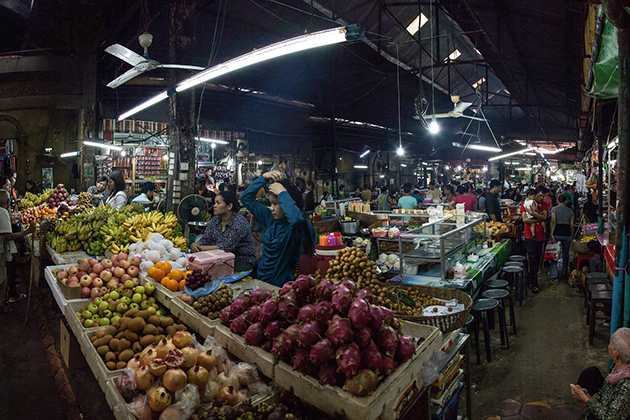 This market can be daunting to the untrained when spreading across 3 floors with the stalls full of goods on sale such as fresh food, household items and even electronics and motorbike parts. This is a cramped and crowded spot, thus, you should come here with heaps of patience. 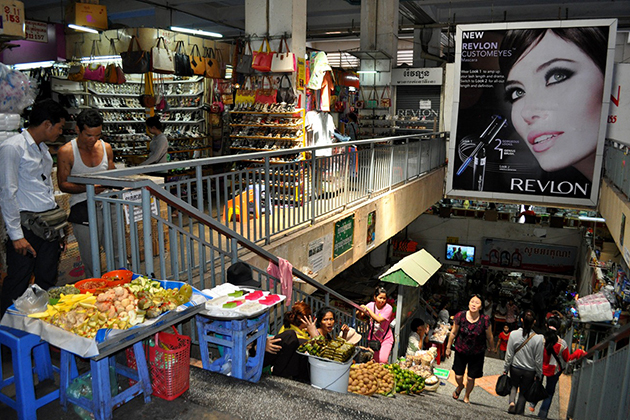 The Old Market, or Phsar Chas, is an ideal attraction for those who love a taste of authentic market life. Unlike other markets, you cannot find any souvenirs here. Instead, they sell a large number of tropical fruit and vegetable as well as slabs of meat which hang from hooks, fish, chickens. It seems like a market that you can take a market tour to prepare for a cooking class.